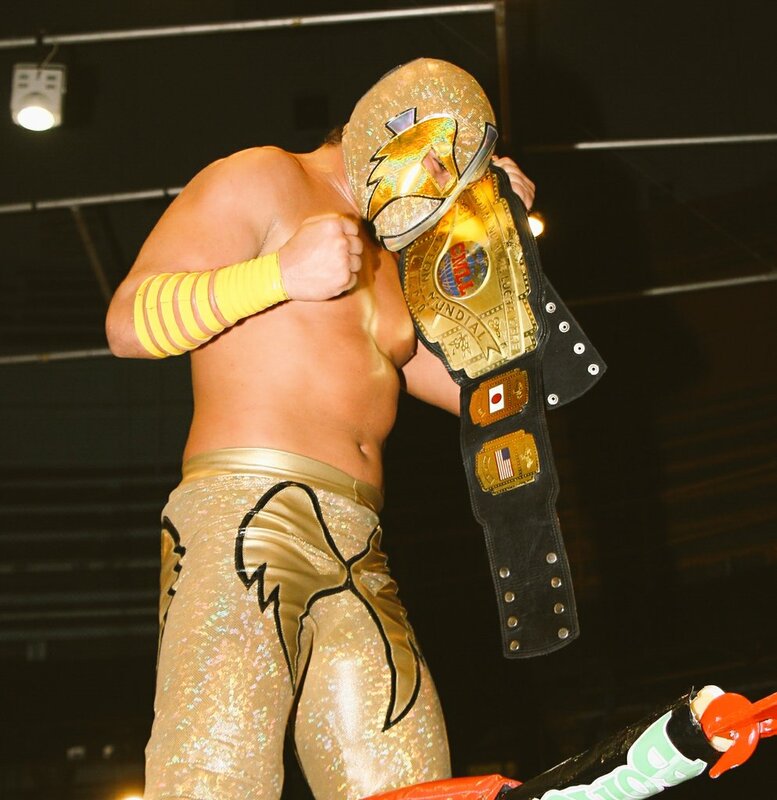 Dragon Rojo’s title reign coming on a barely advertised show in Arena Coliseo to a guy who gets nothing from the win is not the worst way to do it, but it’s pretty underwhelming. I have no idea why they bothered, or why I bother. Dragon Rojo seems sad. This is the second title change in Arena Coliseo in two months, you’d have to go back years to find CMLl doing that again. Black Terry replaced Sammy Guevara. Money thrown in. Main event sounds like it went pretty well. Guevera’s Twitter offers no reason of why he missed this show (and the Sunday one, which will be mentioned tomorrow), it looks like he was planning on being on them. 1) Black Danger, Jonathan, Último Maldito b Mirage, Oraculo, Súper Caló Jr.
James Storm replaced Bobby Lashley on Friday, with Impact sending a video saying The Crash wasn’t worthy of Lashley but might get him if Garza could win. Prior to the match, Konnan announced that if Garza beat Storm, Impact would have to either give Garza a title match next month or the alliance is off. (Sami pinned Taurus, not sure if that counts.) Garza and Storm teased a singles match but were both attacked by Familia de Tijuana, upset that Rebelion is getting all the talk. Said to be another sell out with a lot of good matches. I had multiple people explain to me the semimain storyline and I’m still not sure if I’ve got 100% sure I’ve got it right. The larger idea is The Crash has set up a storyline reason to part ways with Impact – they either get the title match, or they can explain the breakup to their fans by Impact going back on the world. Familia run in seems to set them up as main event heels if it doesn’t work out. I think they’ll probably figure it out, Impact sent that video to explain the Lashley->Storm change and sent Jeremy Borasch, so they’re still trying. Weird how Sunday has become the fourth most important show right now. Rayman took Indio Cherokee’s hair in Arena Roberto Paz. AAA’s second La Llave de La Gloria was Saturday. They brought a lot less people in, 20-30. My guess is that’s probably a choice and not a lack of candidates; it had to be hard to evaluate people with as many as they had last time. Record has an interview with trainee Lirio de Plata, who’s a cabbie by day. Triton says he’s heading to Chicago from April 9 to December 20th. Magic Pro Wrestling: Baby Camaleon & Shadow Magic vs Yako Jr. & Raptor X.
AAA’s posted this week’s TV show. RobViper has a music video of Elite 07/21/16.